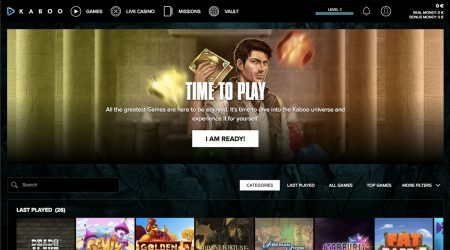 Kaboo Casino Review - Sign Up Today & Start Playing! Online casino players on the lookout for innovative casino gameplay have been flocking to Kaboo casino, one of the newest sites in the industry. Based on a science fiction theme and designed to replicate the experience of playing modern video games, this distinctive site has quickly risen through the ranks of online casinos to become one of the most popular around. If you're looking for bonuses, Kaboo isn't the casino for you. Unfortunately, it does not offer any bonuses (in welcome packages or in promotions) for UK players. 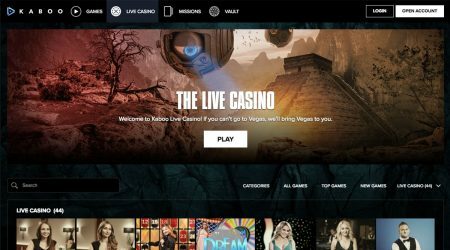 In this comprehensive review of the Kaboo casino site, we take a closer look at its key features to give you all the information you need about welcome bonuses, banking options and more. Some sites focus on trying to offer the biggest welcome bonuses to new customers, but Kaboo has taken a different approach, crafting an innovative and imaginative bonus structure that incorporates both the traditional welcome bonus and an objective-based reward system. As stated above, Kaboo does not offer a welcome bonus for UK players. It also does not offer promotions for UK players, in order to be completely compliant with UKGC standards. That said, Kaboo has plenty of other qualities that make it an excellent choice for any player. With its unique story-line, theme and gameplay, you don’t even need a bonus to have a blast with this casino. For those players who aren’t from the UK but are looking for some information about wagering, here it is. As with all online casinos, Kaboo has wagering requirements attached to its bonuses, and as there are two welcome bonuses on offer, there are two separate sets of requirements. The first welcome bonus requires you to wager 30 times the combined bonus and deposit amount before you can withdraw any winnings, while the second welcome bonus has a lower wagering requirement of 20 times the combined amount. In addition, both bonuses will expire 30 days after they have been credited, during which time the wagering requirements have to be met. As is common throughout the online casino world, different games will count towards the wagering requirements in varying proportions. For example, bets placed on Classic Slots, Video Slots, Jackpot Slots and Arcade Games will count fully towards the wagering requirements, but many table games only count 40%, while Roulette, Blackjack and Video Poker only count 5%. In addition, there are a number of online slots games that don’t count towards the wagering requirement. The full list can be found on the Kaboo site, but it includes games such as Koi Princess, Dr. Jekyll & Mr. Hyde, 1429 Uncharted Seas, Eye of the Kraken, Tomb Raider 2 and Castle Builder. It is fair to say that there are a few sites with slightly more generous wagering requirements than Kaboo, but by the standards of the industry, its overall welcome bonus package is competitive and reasonable, and should certainly be attractive to most players. To power its innovative casino, Kaboo’s developers teamed up with NetEnt, one of the online casino industry’s best-known developers. This means that the site can offer some of the best and most exciting casino games around, all delivered in crisp, high-definition graphics. The site also features top games from a host of other developers, including Microgaming, Evolution, NYX Interactive, Betsoft, Yggdrasil, Thunderkick, Quickspin, and Play’n GO. Altogether, you will find over 500 games packed into the Kaboo library, a range that also includes dozens of variants of popular table games such as roulette, blackjack and baccarat and a healthy selection of video poker titles. For players who want to get closer to the real-world casino atmosphere, Kaboo has an impressive live casino section, which includes tables for regular and VIP players, all operated by skilled and friendly croupiers with whom you can interact as you play. Kaboo casino uses quick-loading instant play technology, and like many modern sites, hasn’t seen the need to develop a dedicated mobile app, instead focusing on producing a site that is designed to work well with all mobile devices, offering fast, smooth gameplay through HTML5 technology. 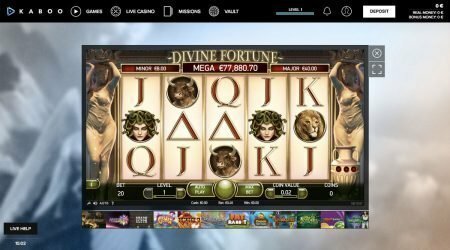 Whether you access the site through your mobile device or via your desktop computer, you will find that the array of games offered, which includes some of the most innovative and popular in the online casino world, provides everything that you need for the complete online casino gaming experience. 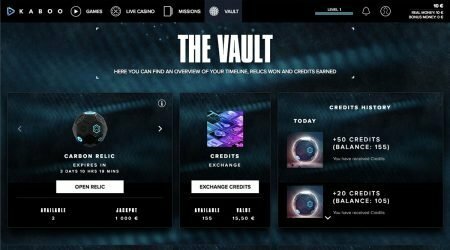 The modern online casino player expects to be offered a wide range of payment methods, and Kaboo goes some way towards meeting this expectation, as the company makes it possible for players to make deposits and withdrawals in a number of ways, including Visa, Mastercard, Neteller and Skrill. You can also use a variety of currencies, from GB pounds to Swedish krona and US dollars. Kaboo excels when it comes to the speed of financial transactions. All deposits appear immediately on your account balance, with the sole exception of bank transfers, which can take three to four days to arrive. Also, withdrawals are processed quickly. For example, e-wallet withdrawals generally go through within 24 hours, and often much sooner. 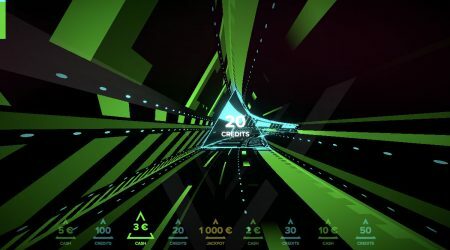 This compares favourably with the standard for the industry, which is around the 48-hour mark, and shows Kaboo’s focus on the small details that matter to players. Withdrawals onto credit and debit cards can take a little longer, particularly if your account isn’t verified or you are using this withdrawal method for the first time, but the timeframe is still competitive by industry standards, and in most cases, will be quicker than the official estimate given on the Kaboo site. The only limit on withdrawals is a maximum of $50,000 within a 24-hour period, which shouldn’t be an inconvenience to most players. The facility to have your questions answered quickly and effectively is an important consideration when choosing an online casino, and Kaboo offers a customer support service that is one of the best around. There is no telephone number listed in the customer support section, but that is compensated for by a 24/7 live chat facility and an email contact option. Some customers may be concerned that they can’t contact the site directly by telephone, but Kaboo appears to have committed considerable resources to its customer support function, and response times for both live chat and email queries are very low. Most importantly of all, the Kaboo support staff are well-trained, friendly and responsive, which is reassuring, particularly for new players. Customers will also find the answers to many of their queries in the FAQ section of the site. Kaboo casino certainly stands out from the crowd aesthetically and conceptually. The beautiful design, slick and responsive interface, and array of the latest 3D and HD games will appeal to modern casino players, and the innovative sci-fi theme, which offers a video game-quality experience, is an interesting and compelling twist on the traditional casino site. To back up this impressive appearance, Kaboo has also focused on delivering features that can make the online casino experience easier and more comfortable for players, from its friendly and responsive customer support to the intriguing loyalty scheme and the faster-than-standard deposit and withdrawal times on financial transactions. Kaboo is a perfect example of a site that combines innovation with player-friendly features and is highly recommended for all casino gamers.